March is Women’s History Month and on March 8th we celebrated International Women’s Day- a day that commemorates the cultural, political, social and economic achievements of women across the world. 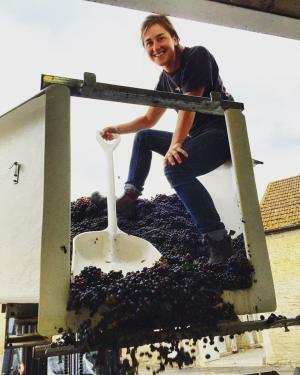 In honor of Women’s History Month, we chatted with some of the women behind Loudoun’s wine, beer and spirits scene. Read more about these leading ladies then come out for a visit and a chance to chat with them more! Bridgette, lead brewer at Solace Brewing, loves every second of working in the craft beer industry. Bridgette encourages women interested in the beer industry to conduct their own “beer education.” “I would try all different types of beer until I felt confident in my knowledge of each and every style of beer.” Also, when starting out, she said it’s important to understand a brewery from the bottom up. 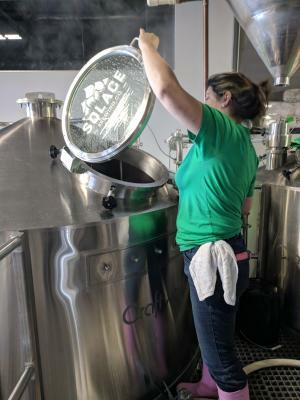 “Working in the tasting room, I would ask to help out in the back with cleaning equipment or anything I could just to get more exposure and understanding of the brewery operations.” When asked what one of her preferred styles to brew is, Bridgette said, “IPAs!” Solace’s hit Lucy Juicy and Sun’s Out Hops Out are not only popular among customers, but are ones that Bridgette loves to brew and drink herself. 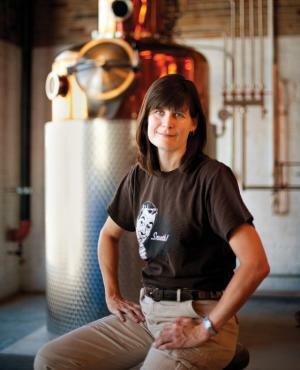 Her love for the product definitely provides the foundation for her contagious passion for brewing. 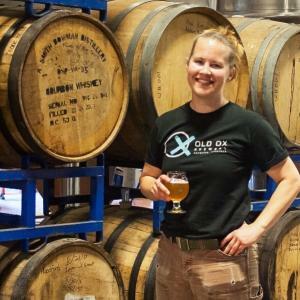 Working in the beer industry for five years, Allison started on the bottle line and has moved her way up; she is now the head brewer at Old Ox Brewery and leader of the DC Chapter of the Pink Boots Society. Prior to beer, she worked as a biochemist, researching yeast and worked at two other established breweries in the northern Virginia/DC region. 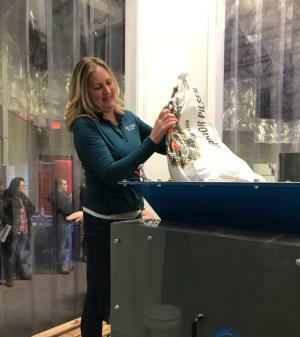 As a woman working in Loudoun’s brewery industry , Allison loves that there is room for all types: the creative flavor chaser, the meticulous optimizer, the guru of fun and the mechanical wizard. 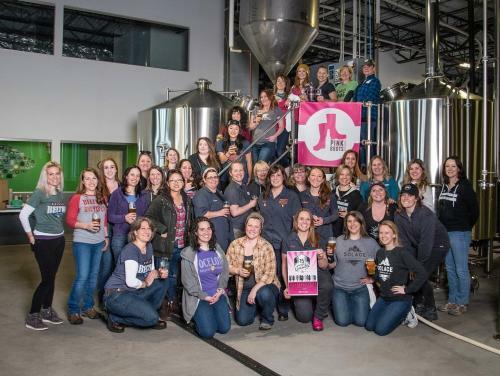 In honor of International Women’s Day, the Pink Boots Society’s Collaboration Brew organizes and empowers women beer professionals to come together and brew their version of the selected beer style. This year the women from our local Virginia chapter brewed “15 Shades of Grisette” at Solace Brewing where 15 different breweries participated! This special brew will debut at Old Ox Brewery on April 14th.